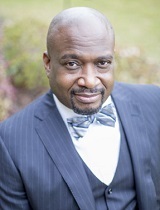 Kenneth C. Williams shares his experience and expertise as a recognized trainer, speaker, coach, and consultant in education and leadership. He is the chief visionary officer of Unfold the Soul, a company dedicated to helping schools both live their posters, and engage in practices that make equity actionable. A leading authority in the areas of collaboration, leadership, school culture, equity, and peak performance, Ken is skilled in joining the why of our work to the how of our work. Known for his provocative and engaging combination of ‘heart, humor, and hammer,’ Ken is an expert at helping schools build capacity in the collective commitments required of school culture’s aspiring to ensure high levels of learning for all students. Ken’s background includes a BA from Morehouse College and he also holds a Masters degree in Education from the University of Bridgeport and a Leadership Certificate from the Bowie State University. For more than 20 years, Ken has served as a distinguished teacher, mentor, advocate, speaker, and school leader. Ken is the author of two books. His latest is a bestseller written with Tom Hierck; Starting A Movement, Building Culture From The Inside-Out in PLC’s. Infuse energy back into the practices of your PLC. Explore the authors' four-stage authentic alignment model, which takes principals, administrators, and educators through the Why, Eye, How, and Now of transforming your school's culture. Through this inspiring guide, you'll discover how to bridge the gulf between principles and practice to cultivate an empowering professional learning community that is committed to a cycle of continuous improvement. Can your students claim a welcoming and supportive school environment? Do they feel physically and emotionally safe? Learn how you and your teachers can nurture supportive relationships with your students, develop conflict management strategies, prevent different forms of bullying, establish high expectations for students and staff, and encourage celebration. You'll also see why parent involvement supports a positive and welcoming school atmosphere.